American Ballet Theater has just announced an apprenticeship programme in order to develop young dancers, which is to be new focus for the esteemed company, extending its current range of pointe shoes, leotards and tutus. The creation of the programme will benefit six dancers, enabling them to work as apprentice members of the company’s corps de ballet, gaining the relevant skills required to work as a fully-fledged member of American Ballet Theater, creating and promoting new talent. The selected dancers will train under American Ballet theatre Studio Company’s artistic associate Kate Lydon, as well as Clinton Luckett, American Ballet Theater’s ballet master. The apprentice course will run for ten weeks beginning in September, and the dancers will then go on to advance to the apprentice level with the company during its performance of The Nutcracker at the Brooklyn Academy of Music. 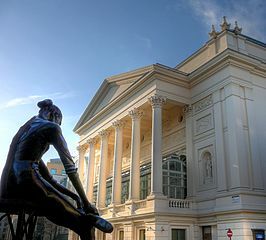 The training will provide full immersion into the ballets in the repertoire of the company, including tutorials in ballet story lines, history, style and mime. In addition, dancers will attend seminars in hair, makeup and company etiquette in preparation for entering the main company, upholding the high, professional standards of American Ballet Theater in the arts world. 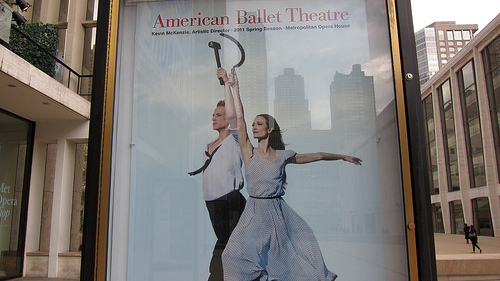 The students’ apprenticeship will continue throughout American Ballet Theater’s performance season ending July 2013. The dancers will be selected first from among the students at the Jacqueline Kennedy Onassis School, second from among Summer Intensive students and by audition, requiring them to pull on their best performance tights and shine for all they’re worth. Dance classes around the country are not few and far between. Dance is becoming increasingly popular, as a result of commercial television shows, and more recently, the Olympic Games. Open dance classes are on the up with over 200 classes a week taking place at Pineapple Dance Studios in Covent Garden for example, also featured in a television series on Sky 1 complete with jazz pants, cropped tops and urban dance sneakers. 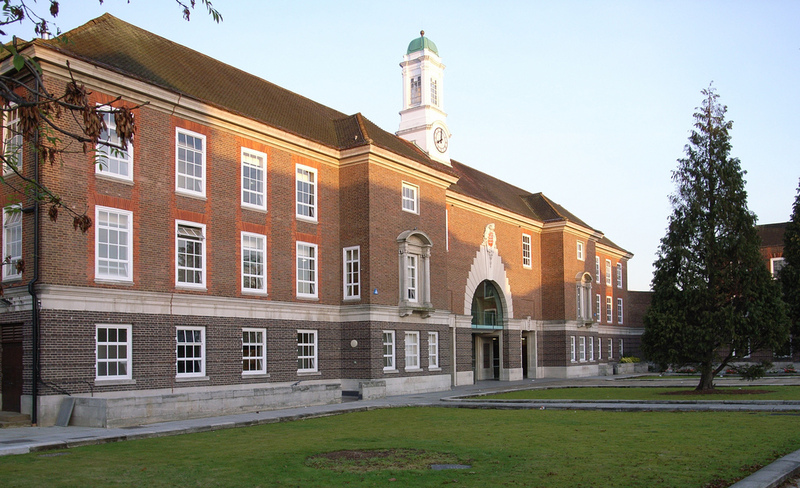 Other open classes taking place across the capital include The Place, Danceworks and Studio 68. In addition to this, many dance students attend weekly technique classes with the view to take examinations with their dance school and progress through the ‘dance ranks’, trading in leather practice ballet shoes for pink pointe shoes. Many dance students dream of one dancing upon a vast stage in a feathered tutu, and others of becoming teachers themselves, correcting the leotard-clad young dancers before them and embarking on a variety of techniques. These techniques are similarly seen in the open classes of less formal institutions, without the commitment. Despite one class option being slightly stricter of uniform than the other, both offer dancers the chance to engage with their passion, be it classical ballet, tap dance, jazz dance, musical theatre, and everything else in between. Both offer the chance to progress through the increasing levels of the technique in order to both challenge them and achieve goals as dancers. Whilst these goals may not differ in themselves, classes all over the country and even the world offer dancers the great opportunity to engage with likeminded individuals and teachers, reach their potential, and most importantly to have fun. Whether dancers are kitted out in the world’s most prestigious pointe shoes or ten-year-old jazz shoes, the power of dance unites all these dance students in one love. Now the London 2012 Olympic Games are over ahead of the Paralympic Game in a couple of weeks, many have raised the question both online and in print as to whether dance could qualify as an Olympic event. 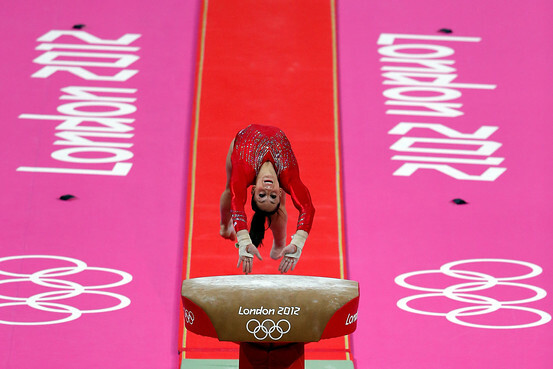 The artistry, strength and flexibility of dance can be seen in many existing events of the Games, the most obvious examples being Gymnastics and Rhythmic Gymnastics. 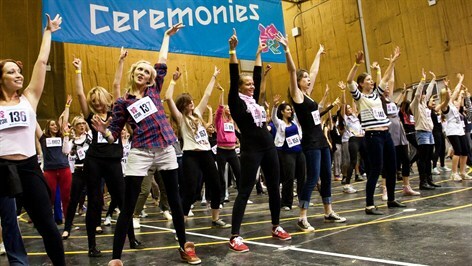 Dance has had many links with the 2012 Olympics. One of Birmingham Royal Ballet’s Principal dancers, Matthew Lawrence, created a routine for the Welsh and five times British champion gymnast Frankie Jones for the Rhythmic Gymnastics British Championships ahead of the Games. Jones was the only British individual rhythmic gymnast to compete at the 2012 Olympics, working hard with Lawrence, as well as BRB’s Body Conditioning Instructor Jennifer Mills. Jones received ballet classes as part of her preparation for the competition, complementing her body’s ability to create any imaginable shape or movement: a rhythmic gymnast takes elements of ballet, and then stretches it to the extreme. Rhythmic gymnastics is a combination of gymnastics and dance and its origins lie in a wide variety of disciplines, including classical ballet. Here it is clearly demonstrable that both disciplines are closely related yet have evolved in different ways. The Team GB backstroke expert Liam Tancock revealed that dance has too featured in his training, having taken ballet classes in order to improve his swimming. Tancock maintained that his success in the water was the result of ‘thinking outside the box’ in order to develop additional qualities of dance to boost body strength and improves strokes. 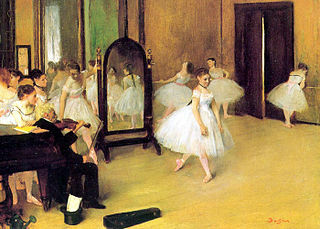 Whilst you would be unlikely to see Tancock donning ballet tights and satin ballet shoes, it is clear to see that dance is not only a complementary discipline to other activities, but its own success in its own right. Why shouldn’t we see tutus and leg warmers on ballet’s competitive athletes at the 2016 Olympic Games? The ideals ‘faster, higher, stronger’ are extremely applicable to the art of dance, with Albert Einstein and then Martha Graham maintaining that ‘dancers are the athletes of God’. Many may argue that the absence of dance is due to it being such a subjective discipline, unable to be measured either numerically or objectively. However, both Gymnastics and Diving feature which are art forms in themselves and are judged via a complex scoring system in order to achieve potentially unbiased and accurate results. With both events developing and constantly becoming more challenging, the possibility of achieving the perfect 10 score has been eliminated to account for the increasingly demanding nature of the events, viewed relatively. It seems the art of dance and ballet cannot be measured numerically, but perhaps more in how it affects the viewer, which of course would be impossible to score. Perhaps if dance were to be included in the Olympic Games, the level of artistry, musicality and expression would have to be reduced in the face of accurately ‘marking’ the competitors’ arabesques, multiple pirouettes and extensions, which would then mean that what is being executed is not aesthetically ‘dance’ in its entirety. The dance elements of 1972 Gold illusive gymnastic legend Olga Korbut were once appreciated by scoring systems, but are now considered time-consuming in relation to the huge tumbles and requirements of twenty-first century gymnastics. These are now unable to affect the final scores in a significant way, in what some may argue as a graceless exhibition of athleticism at the expense of beauty and performance. However, today’s gymnasts somehow continue to capture audiences and expend the illusions of the stage. Summer Schools for 2012 are nearing their end, with students young and old packing up their holdalls, packing up their tap shoes and jazz trainers ready to begin their examination classes once more in September. From musical theatre, to ballet, to singing workshops, summer schools host a variety of dance genres for children and young people of all ages, offering everyone who takes part a great chance to have fun, make new friends, and improve their dance or theatrical technique. Some summer schools are rather more specific in their genre, such as high-end ballet classes complete with satin pink ballet shoes and plain yet stylish leotards. Summer schools of this category usually take the format of daily classes in techniques such as classical ballet and repertoire work, devised to enhance students’ classical technique and fulfill their desire to improve and advance in their chosen subject. However other summer school varieties cover a range of dance genres and activities, touching on subjects such as tap, ballet, modern jazz and singing work, providing a wealth of opportunity to have fun and enjoy the passion for dance. Many encourage students from countries all over the world to join in the fray, each giving heaps of energy and enthusiasm, and often only requiring a pair of dance sneakers. Many students may view their yearly trips to summer schools a welcome relief from the rigour of weekly exam and technique classes, allowing them to ‘let their hair down’ and get a real feel for how the institution they are attending operates on a day-to-day basis. Often culminating in an end-of-week show, complete with the Lycra and sequins of borrowed costumes, weeks of summer schools from July to September are hard work, but truly enjoyable. As the world anticipates the London 2012 Olympic Games, performers from across the country are pulling on their dancewear and warm-up cover-ups ready for the Opening Ceremony on Friday 27 July. The Opening Ceremony is a celebration showcasing the best of the Host Nation, London, featuring a parade of all competing nations and the highly anticipated entrance of the Olympic Flame, which ignites the Cauldron and signals the start of the Games. 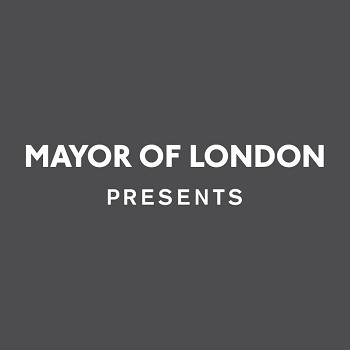 The eyes of the world are expected to be on London for the Opening Ceremony, providing an opportunity for the world to view the artistic expression of the Artistic Director Danny Boyle and his team of talented young performers, as well as the culture of London and the UK. Certain elements feature in every Ceremony, and the artistic performance of the Ceremony, and the striking costumes of the dedicated, hard-working performers will welcome the world to the Games. The name of the Olympic Opening Ceremony show will be ‘Isles of Wonder’, saluting and celebrating the immense creativity of the British. The worldwide broadcast will commence at 9pm (GMT), and will no doubt appeal to every jazz sneaker and ballet shoe wearer as well as those interested in sports. The Ceremony will begin with the sound of the largest harmonically tuned bell in Europe, produced by the Whitechapel Foundry, and the Stadium will be transformed into the British countryside for the opening scene ‘Green and Pleasant’, which includes real farmyard animals. The Ceremony will also include a special sequence celebrating the best of British, featuring volunteer performers from the NHS. Image courtesy of the Official site of the London 2012 Olympic and Paralympic Games.